It doesn’t need rocket Science to understand that a good night sleep is an essential necessity for us to have a healthy life. You only need to be deprived of sleep for just at least 72 hours to realise how true this is. For those adventurous people who like spending their time in the wilderness hiking and camping, you understand very well that as the sun sets, then you will need to make a camp and spend the night there. This is the part where your sleep comes in, after taking your meals in the wilderness at night then you will automatically need to rest since you will most likely be very exhausted. We all agree that down sleeping bags are some of the best sleeping bags on the market right now. If you have always been spoil for choice and not sure which down sleeping to go for, you are a very lucky reader because we have broken everything down for you and done a detailed coverage that will help you get value for your money by picking the best down sleeping bag available. Buying a particular down sleeping bag is not a walk in the park; those who have ever found themselves in this situation can confirm this. Each down sleeping bag has its strengths and weaknesses which make the difference between them. Having this in mind will act as a highway that will somehow lead you to buy a particular type of down sleeping bag. The primary focus here is to find a down sleeping bag that you will not regret having spent your hard earned cash on. Having said that, the first consideration you should make is the season you are planning to use the sleeping bag in. Will you be using the sleeping bag mostly in summer or winter? Will you be using your sleeping bag during spring or autumn so as to go for the 3 season sleeping bag? Apart from the factors discussed above, there are also some very crucial features that one needs to pay much attention to before deciding on which sleeping bag to spend their money on. Two main factors determine the size of a sleeping bag. First is the comfort and then the size of the person who will be sleeping in the bag. A huge sleeping bag will lose so much heat, and on the other hand, a bag offering a snugger fit to its user will easily retain the heat. Therefore depending on your size and how comfortable you want to feel while using your sleeping bag, you will be able to make the right decision. Another very important factor that should not be overlooked is the shape of the down sleeping bag. 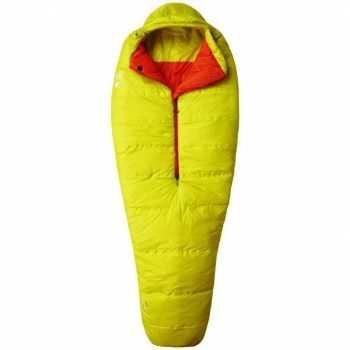 The shape of the sleeping bag one will purchase is a personal choice as long as you will be comfortable using a particular shaped sleeping bag. There are rectangular, semi-rectangular and the double sleeping bag which is basically a wider version of the standard rectangular sleeping bag. Rectangular sleeping bags offer the maximum comfort as well as roominess. If you want to use your bag for both camping and backpacking, then go for the semi-rectangular shaped bags. Their tapered design is very efficient in offering greater warmth and enough room for a comfortable sleep. For those planning to do some car camping and backpacking, the mummy shaped bags would be ideal for you. With the hip widths and narrow shoulders of the mummy bags, the bags will offer maximum warmth and weigh less. The temperature ratings on all sleeping bags indicate the lowest temperature that each bag has been designed to handle. You should, however, take temperature ratings with a grain of salt because there happens to be no standard way of determining the ratings. This, therefore, means that manufacturers have the freedom to say whatever they want about the warmth of their bags. The EN 13537 standardized rating system has been widely accepted across Europe, and some US bag manufacturers have also adopted it. It is very true that out of every 10 campers buying sleeping bags, 7 will go for the synthetic insulated sleeping bags. This is majorly because of their affordable price tags. They dry quickly and are known to insulate when wet as well. On the other hand, most other people will also go for sleeping bags that are down insulated because they are more durable and can be compressed more compared to the synthetic sleeping bags. It is also very important to consider the added accessories that the bag comes with. It is worth keeping in mind accessories like the zip. Does the zip extend the entire length of the bag? What of the hood? Does it have a hood and does the hood naturally hug the head? You don’t want to lose a lot of heat through the head, and this is why the hood is necessary. The hood will help stop heat from radiating away from your head. It is also worth noting whether the loop tabs and hook cover the zip. This is important because it can additionally protect the zip and prevent it from catching on the zip’s surroundings. Even though the staff sack could be sold separately, many bags come with theirs free of charge for easy transportation of the bag. If the sleeping bag you are purchasing has this staff sack free of charge and has all the other features discussed above, why not go for it? A very important tip on how to prolong the life of your sleeping bag is to hang it in the garage or store it loosely in the storage sack. It should not be stored rolled up tightly in a staff sack. So if the sleeping bag you are buying comes with a storage sack in addition to the other vital features then simply buy that storage bag. After going through all these considerations, you will be capable of making the best decision when it comes to buying the best down sleeping bags. You will certainly not go wrong after having gone through these guidelines; however, there are those who might ask for our recommendations on some of the best down sleeping bags we know about. Please spare some time go through our review section below and find some of the best down sleeping bags that we have reviewed. This sleeping bag is a lightweight synthetic bag which is capable of keeping you warm even when damp or wet. This can be an advantage over down. This bag employs Lamina Technology combined with Thermal Q insulation to maximize and maintain loft while also giving good compressibility when stored in the sleeping bag stuff bag. If you want to buy your first sleeping bag, then we highly recommend the Mountain Hardwear Spark 35 Sleeping Bag. This sleeping bag weighs less and can easily be carried in your backpack as you go camping. This sleeping bag is made using synthetic material meaning that is costs less and can be used in all weather conditions. The lamina construction functions well in enhancing loft while at the same time eliminating cold spots. This sleeping bag has an outstanding compressibility due to the thermal Q insulation which also enhances an extraordinary loftiness. 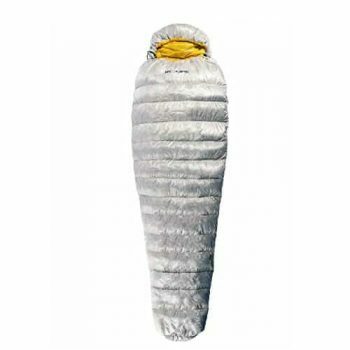 Most people who go camping and spending time in the wilderness prefer this sleeping bag because of the reduced girth, bulk and width its maximized thermal efficiency. Related: If you want something that can keep you comfortable in lower temperatures, we highly recommend that you check out the Mountain Hardwear Z Flame 22 Sleeping Bag from the same manufacturer. Impressive insulation and comfort on this one. If you are looking for the lightest sleeping bag then the Hyke and Byke Snowmass Sleeping Bag is here for you. This is undoubtedly the most compressible sleeping you will ever come across. This sleeping bag is professionally designed for backpacking, thru hiking and camping. The weight to warmth ratio of this sleeping bag is simply comparable to none. This is the ultimate sleeping bag that one should go for if you want to save space and weight. With the waterproof fabrics and the duck down insulation capabilities, you will surely stay warm when using this sleeping bag. Related: If you want a product that will protect your down sleeping bag like the one featured above, you should consider getting the Nikwax Down Proof which is great in providing water repellency and revive insulation qualities. The Kelty Cosmic 20 Degree Sleeping Bag is one of the best sleeping bags on the market right now that you should purchase. 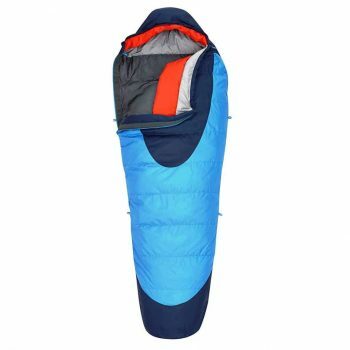 This sleeping bag is recommended because of the amazing features that it packs. You will never lose heat through your head because of the thermal comfort hood that it comes with. The locking zipper is just something you cannot overlook. Once you have locked this zipper, then you can be sure that you will be comfortably warm in your sleeping bag. The 50D Polyester Taffeta Liner is not something you get in any other ordinary sleeping bag except in this sleeping bag. Related: If you find that the stuff sack that comes with the Kelty Cosmic to be lacking, the Kelty Compression Stuff Sack should be a great buy. This is a high quality stuff sack that can easily compress your sleeping bags and clothing for more backpack space. This is a well known sleeping bag in the sleeping bags industry. 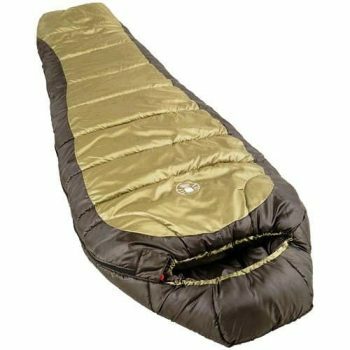 The Outdoor Vitalis Summit Sleeping Bag is a sleeping bag that we highly recommend to our readers. This bag is ultra light. This bag weighs only 2.5 pounds, and this will ensure that you never ache your back by carrying a heavy backpack. This is the most compressible bag you can ever think of because you can be able to compress it down to about 10 x 8 inches and your worries about space will be gone. Since down is one of the best natural insulators, it means that this bag will always be ultra-warm. Don’t be fooled to think that because this sleeping bag is made using the lightest materials, then it is not tough; this sleeping bag is ultra tough. The 20D ripstop fabric allows the sleeping bag to be very light while at the same time remains tough like leather. Related: Want a camping pillow to go along with your sleeping bag? The Klymit Pillow X Inflatable is an excellent choice for its adjustability and light weight. If you have been looking for a high-quality ultra-light sleeping bag, then you need to look no further. This bag is what you have been looking for. This high quality sleeping beauty is availed at an ideal price point. Looking at it for the first time, this sleeping bag is a compact, comfortable and the perfect complement to those static or inertia camping pads. A keener look, on the other hand, unveils some great craftsmanship details. The Klymit KSB 20 Sleeping Bag has a ¾ length zipper which has a zipper guard and a mummy hood. This sleeping bag is made using lightweight breathable fabrics that avail extra sleeping comfort. Did we mention the minimal pack size and the light weight? This bag only weighs 2.78 pounds and can be packed down to just 12 x 6.5 inches. This is the ideal sleeping bag for anyone who loves camping. Related: You could always use more comfort in your backpacking trip, so it won’t hurt to check out the Klymit Cush Inflatable Pillow. 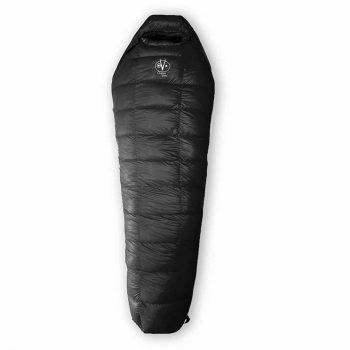 It’s patterned to fit a mummy sleeping bag and made from lightweight 75D polyester material. Sea to Summit is a well known name when it comes to manufacturing durable, lightweight and compact outdoor camping gear mainly because of the vast experience they have amassed over the years. 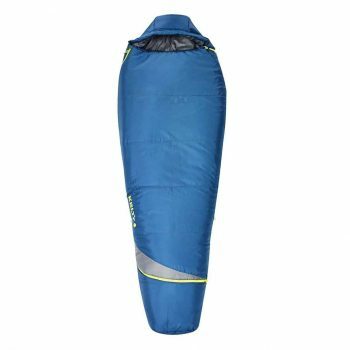 At an affordable price, the Sea to Summit Spark SP II Sleeping Bag offers the best performance together with its great features that are undisputable. It has a streamlined featherweight design that will come in handy in taking you into the cooler summer through the fall temperatures. Most reviewers like this sleeping bag because it is a three season bag that is useful the whole year round. It is also very light only weighing around 1.2 pounds and is, therefore, ideal for those who have minimal space when going to the wilderness. 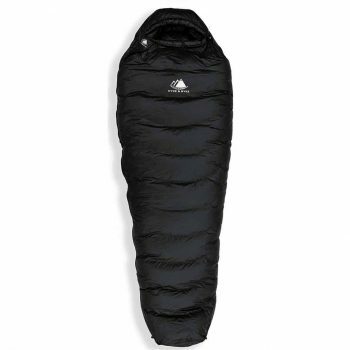 It is worth noting that this sleeping bag has a friendly price to the pocket and will give you value for your money. The 1/3 length zipper admittedly limits the versatility of this sleeping bag. You might find it tricky to get into the bag, but it is not completely impossible. This bag does not have a neck baffle though. If you are conscious about weight and size, then this is the recommended sleeping bag for you. This bag might be a little expensive, but when you compare it with other down sleeping bags, this is better off. Related: For maximum comfort, backpackers tend to bring inflatable pillows with them. If you are one such backpacker, the Sea To Summit Aeros Premium Pillow is a great item to complete the above sleeping bag. Manufacturers always strive to make sleeping bags that are geared to leave a positive feedback from the customers. Kelty is a well known backpacking company that manufactures tents, backpacks, sleeping bags and camping gear suitable for all outdoor adventures. Do you love being comfortable while outdoors? You will find it hard to resist falling in love with the Kelty Tuck 22 Degree Sleeping Bag. The versatility of this sleeping bag is perfect. Armed with the ThermoPro insulation which is a fiber blend engineered to retain warmth while providing superior compressibility specifically, this bag has elevated synthetic fiber blend to an entirely new level. Did we mention it’s one of a kind comfort tuck? You only need to unzip this comfort tuck to enable you to put your feet out if the night is too warm for you. This sleeping bag has become a darling to many as you can use it almost everywhere. Some reviewers describe this bag as a hidden gem for those who want quality bags but may have some financial constraints. 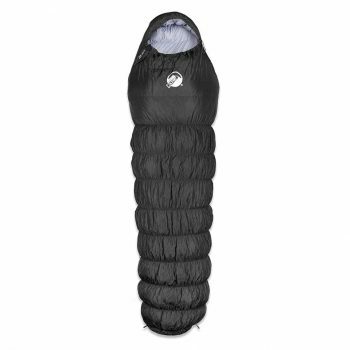 The only difficulties you may face using this sleeping bag is the zipper, the zipper is a thorn in the flesh as it seems to snag a lot, but this bag is absolutely recommended. Related: A good sleeping bag is nothing without a good tent. In that case, the Kelty Salida 2 Tent is a solid choice for its easy to setup poles and 3 season rating. The ALPS Mountaineering Crescent Lake Sleeping Bag is another product from the Crescent Lake series of sleeping bags that are made with the Techloft+ insulation. Techloft+ insulation offers maximum insulation, loftiness and compactness. This bag features the 2 layer offset construction otherwise known as a bag within another bag. If are looking for a bag that is ideal to take along as you hike and will take very less space in your backpack then this is the right bag. With the contoured hood as well as the mummy shape, you can be sure that your warmth will be sealed up and you will never feel cold in this bag. What’s more, this bag comes at a reasonable price that is affordable by just any ordinary person. Related: You could always use a good sleeping bag stuff sack for better packability and portability. The ALPS Mountaineering Stuff Sack should be a perfect choice for its double-stitched seams and bartacked stress points. Ever heard of a technical bag? The Coleman North Rim Sleeping Bag is a perfect example of a technical bag and packs all the features a technical bag should have. The sweetest part of the deal is that this price bag is available at an unbeatable price. Talk of the offset quilt construction, insulated chest baffle, semi sculpted hood, this bag packs all these features. This bag eliminates all potential cold spots, surrounds our head with enough warmth, locks out chilly drafts amongst other capabilities. With the 2 way zipper, the ventilation of this bag is at its maximum. Can you imagine this; this bag comes with a whopping 5 year warranty. What a deal? Are you worried about how to wash this bag? We highly recommend this sleeping bag as a washing machine can commercially wash it. Related: If you need a different bag that can keep you warm up to 20⁰ F, the Coleman Big Basin Extreme Sleeping Bag is definitely a solid buy. Great features include wide bottom room, great quilting construction, unzippable bottom and more. Enjoy your adventure in the wilderness! Down sleeping bags have become an essential part of enjoying our time in the wilderness. To determine the best sleeping bag for you, you have to look at many factors but above all the price is the ultimate factor. If you will only be camping a few times in a year then going for a cheaper bag is alright. 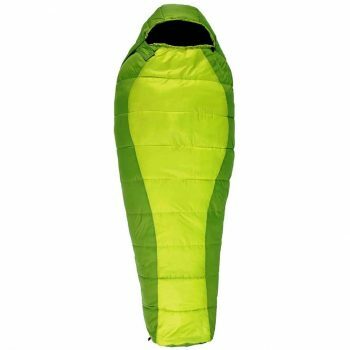 Do you think there is another sleeping bag that deserves to be on this list? Please let us know in the comments section below. What is Dry Camping: Is This the Epitome of Outdoor Freedom? How to Hike the Appalachian Trail: Your Guide to the World’s Longest Thru-Hike!